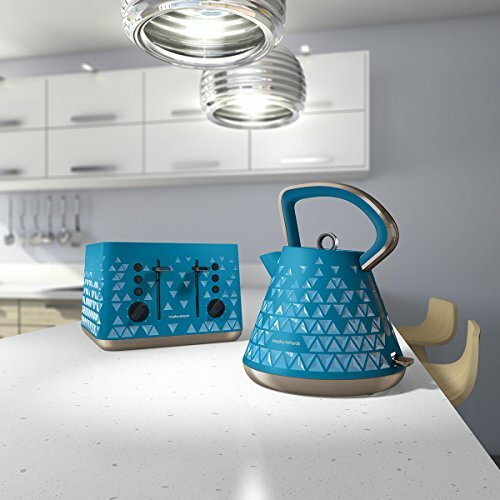 Available in a range of bright and stylish colours, the Morphy Richards Prism range is a great way to add a splash of colour to any kitchen or home. 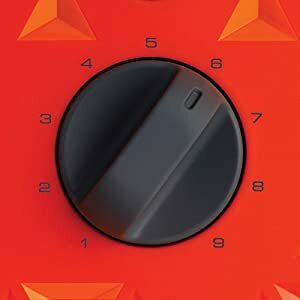 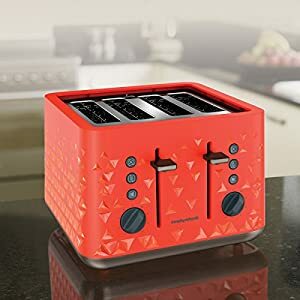 The Prism 4 slice toaster not only looks great but is also highly functional and has many buyers delighted with its high quality design, you can take a look in the next tab to see what others are saying about this highly rated orange 4 slice toaster which is also available in a orange kettle and toaster bundle set. 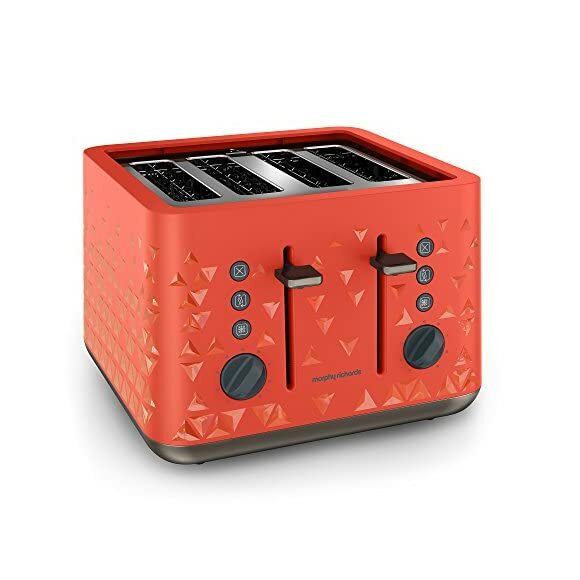 The orange toaster from the Morphy Richards Prism range features a stylish and eye catching dual texture finish with an indented prism pattern that really makes it stand out. 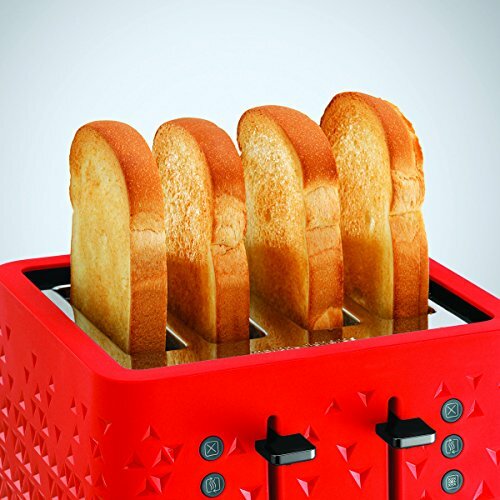 The Prism toaster is able to toast up to 4 pieces of bread simultaneously and has deep variable width toasting slots allowing you to toast both thick and thin slices of bread. 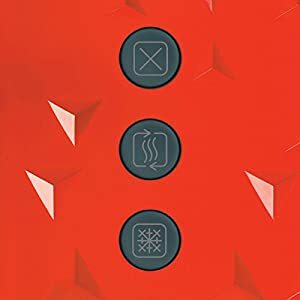 If you are not toasting for a number of people, the pairs of toasting slots can be used independently of each other meaning you can save energy by only using 2 slots rather than 4. 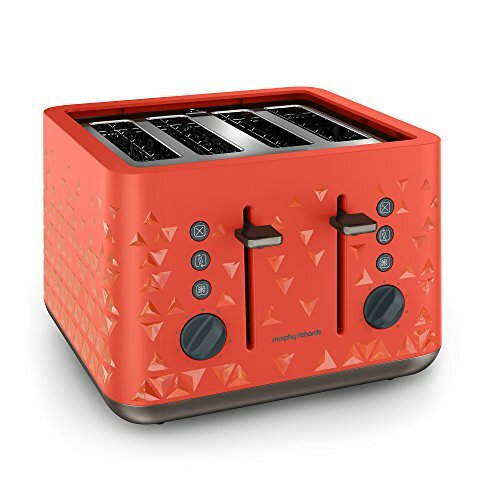 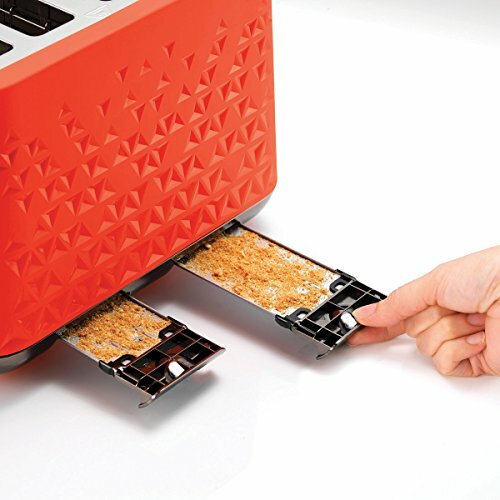 The bright orange toaster features an auto high lift function to ensure you can easily access you toast without getting your fingers burnt and the dual removable crumb trays that allow the toaster to be easily cleaned and emptied in no time at all. 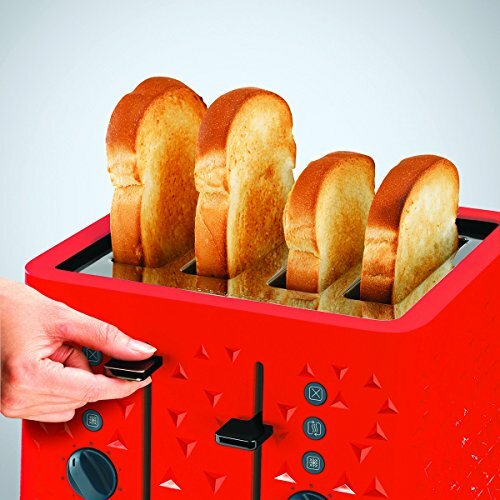 You can toast your bread to perfection with the variable control that has 8 settings to choose from, allowing you to get toast with a level of browning just the way you like it, that is always evenly toasted. 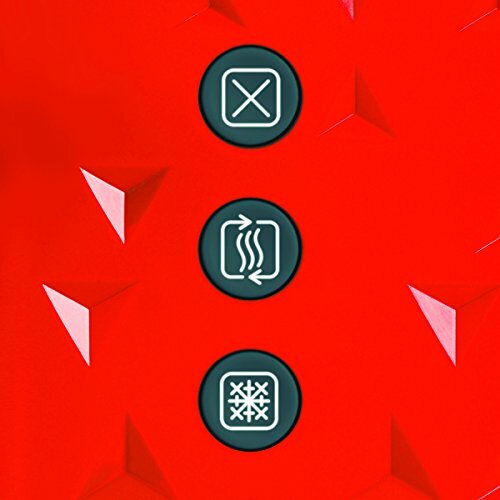 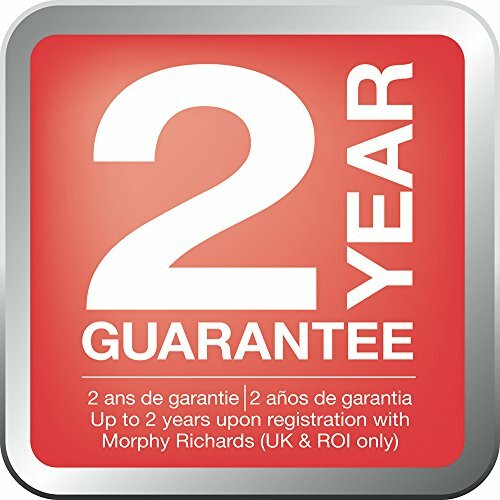 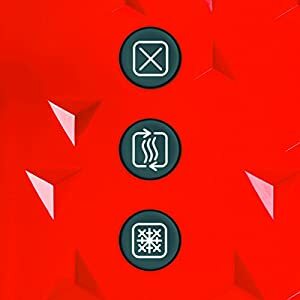 Other features of the Morphy Richards Prism toaster are the cancel, reheat and frozen function buttons that are illuminated when in use to ensure you never have them on by accident. Overall this is a very good toaster to consider and has many positive reviews that can be viewed in the next tab, the toaster can also be colour coordinated with the orange kettle also from the Morphy Richards Prism range and is also available in a combo set with both the kettle and toaster included.